Overlooking the Arabian Sea, Kovalam is a beautiful beach town known for its serenity and natural beauty. Sprinkled with coconut trees and breathtaking beaches, Kovalam is one of the most popular attractions of Kerala. The place offers a fresh and rejuvenating ambiance that is perfect for a long holiday with your family. The beauty of the place is truly unmatched and it promises an unforgettable holiday experience to all the tourists. The destination is known for its sun-kissed beaches, delicious seafood, water sports and Ayurveda centers. Kovalam shares a unique bond with Ayurveda, which is why it is dotted with a number of Ayurveda retreats where guests can enjoy rejuvenating Ayurveda therapies. 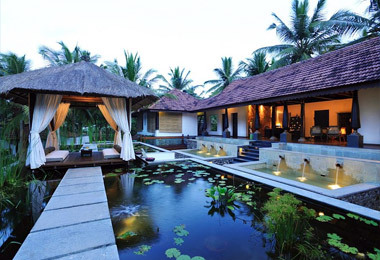 Kovalam is home to Niraamaya Retreats- Surya Samudram, a heritage resort that is not only known for preserving the rich culture of Kerala but also for offering the finest Ayurvedic therapies and treatments in India. Talking of its tourist attractions, Kovalam has much to offer. Some popular tourist attractions of Kovalam include Lighthouse Beach, Samudra Beach, Kovalam Beach, Hawa Beach, Kali Temple and Thiruvallam Backwaters. Kovalam is one destination that tourists can visit throughout the year. However, the best time to visit the destination is from the month of October to February. It is the time when the weather remains cool and pleasant. The season is perfect for sightseeing around Kovalam.